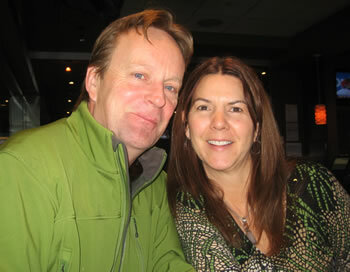 Sandi and Rob Christensen, the owners of Goodmen Roofing of Calgary spent most of their time working IN their business. This left them little time to work ON the business. They never seemed able to edge above revenue ceilings year after year. Here, Sandi describes their experience with Navigational Coaching. I was convinced that we needed to hire a coach to help us grow our business and to hold us accountable. I researched coaching and coaches for a couple of years. In September of 2009, we hired two new people. One oversees operations and coordinates between office and field, and the other does sales for a new residential division. At that point, I insisted that we also hire a coach and get the two new employees started off most effectively. We selected Navigational Coaching delivered by Pat Lipovski at Envision Group, an international partnership of seasoned Executive Coaches. We hired Pat in October of 2009, and started Navigational Coaching right away. We two owners started off meeting with Pat about our objectives. Navigational Coaching’s model of “This is where we are” and “This is where we want to go” gave us immediate clarity on actions we could start taking right away. Once we had certainty from our own sessions, we added the managers to our Navigational Coaching. Things got even more exciting when all the managers and owners worked together in our sessions. We looked at, “Where are we now?” We already had a good foundation for the company. Next, we looked at where we want to be and what a future organization chart would look like. We talked about the ways we wanted to expand, and what we needed to do to make that happen. Now, everybody in the company gets coaching opportunities. We have Quarterly meetings with Pat facilitating. These make us a solid team with everyone aligned on our goals. We recently provided Navigational Coaching to all our field people. In the roofing business, it’s not too hard to do this every couple of months on a rain day. This way, we can turn non-productive time into solid business productivity. We here in the office take turns doing the weekly coaching with Pat. We’ve never looked back, and gotten fabulous results with our company. At last, we’ve broken through that ceiling on our revenue. On a “hard metrics” basis, our business has increased 330% this year (2012) from pre-coaching figures of 2009. As of May 2012, we were already at a 98% increase year over year (with a fiscal year ending on October 31) from 2011. We consider this the best investment we’ve ever made. The benefits have far exceeded the cost. Every year we’ve worked with Navigational Coaching and Pat has been a banner year. There’s one word to describe it: growth growth growth! We’ve now outgrown our space, and just bought a new commercial site to house us. It’s got 125% more space than our current site with a huge yard. Yes, we’re planning to keeping on growing. Our field crews are pumped from their Navigational Coaching training. Now that everyone has been trained, employees coach each other, including the field crew, or office staff and crew. We get more longevity from our employees. The job sites are more organized and cleaner. This is what the crews are doing on their own. You can imagine how that contributes to customer satisfaction and job safety. Employee engagement has gone “through the roof” (excuse the pun). They feel they are a part of what’s going on in the company. You can see the sense of excitement and pride they get from actually contributing to results. They understand that what they have to say is important to the company. One of the best results is that now, when I wake up, I want to go to work. Overall, our experiences have been amazing. We all have a renewed energy for what we’re doing. There’s not enough money in the world to pay for that. Now you have an idea about how Navigational Coaching could enhance the success of your organization, click on Navigational Coaching to learn more.